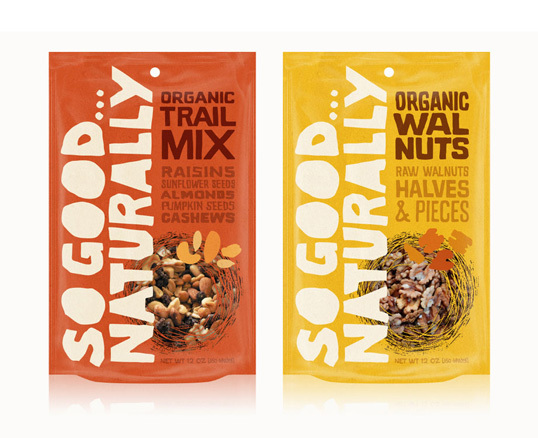 “What started as a label replacement project, gained momentum and we soon found ourselves responsible for delivering two packages for the “The World’s Best Cookie” (Vancouver Sun, Feb 2003). 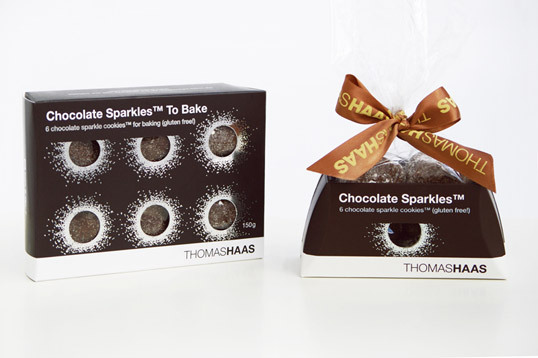 Initially, Thomas Haas’ freshly baked Chocolate Sparkle Cookies were presented in a cellophane wrapping with a sticky label attached. 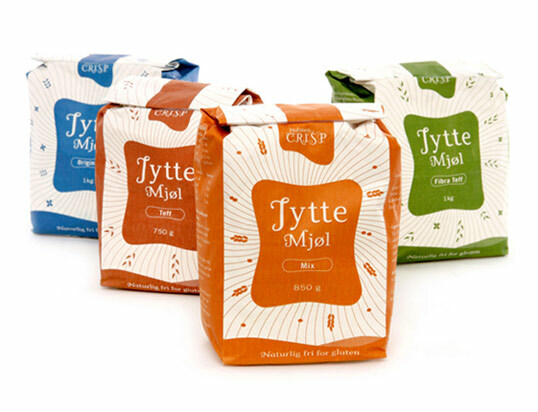 The refrigerated home bake cookies were in stock paper with a sticky label attached. I knew that the Chocolate Sparkle Cookies as with most of Thomas’ creations were innovative and unique. The challenge was to communicate the “Sparkle” within, while simultaneously preserving the carefully crafted Thomas Haas brand. 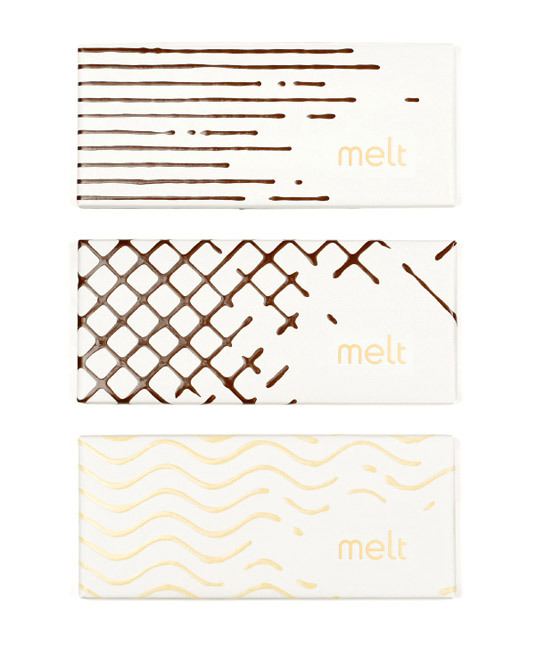 The package for the home bake set of six Chocolate Sparkle Cookies came first. 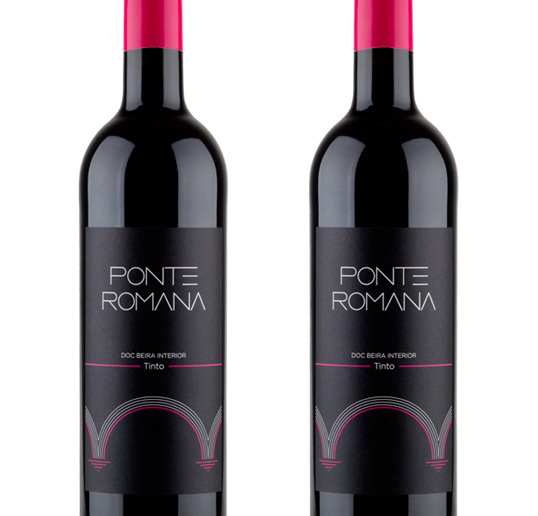 Wrapped in Thomas’ signature ribbon branding and logo, it includes angled sides. 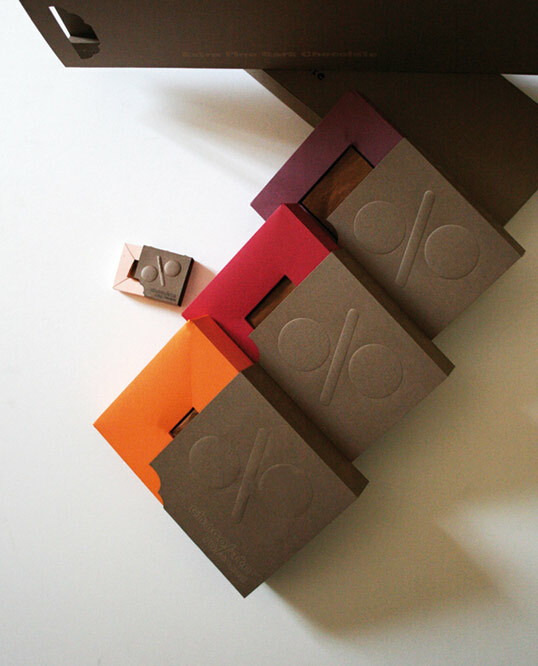 Earlier in the design process all of the sides were angled, naturally conforming to the spacer tray within. However, the option for additional front display and stacking was needed, hence the flat top and bottom. “This college work is absolutely conceptual. 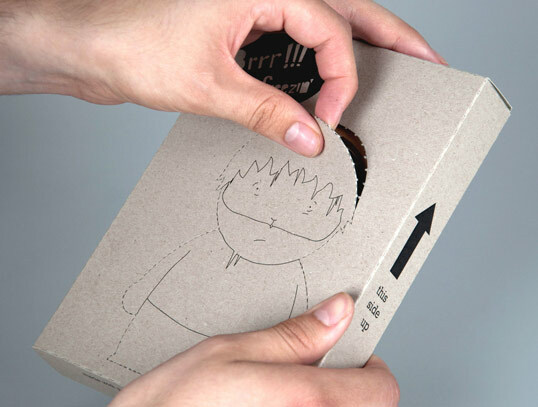 It was submitted by me as a simple proposal: To pack a feeling. 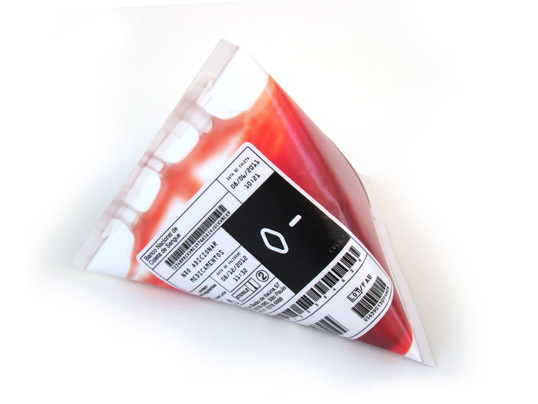 I chose “Anguish”, and solved the challenge through the representation of a blood bag. 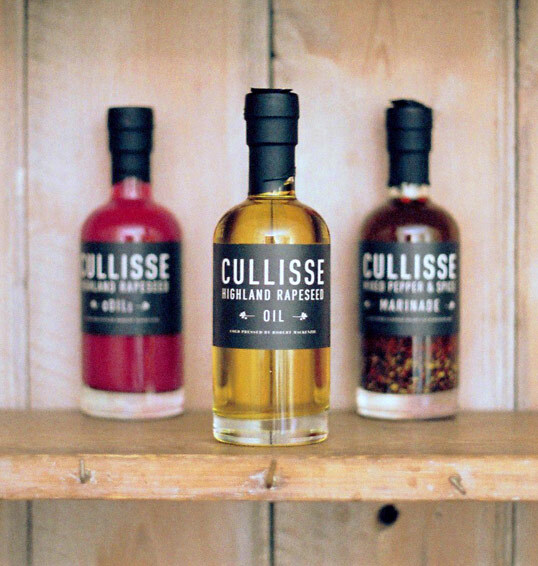 “Cullisse (meaning nook of the garden) is a brand new rapeseed oil from the highlands of Scotland. Gently cold pressed from seed grown by the Mackenzies of Cullisse on their farm, the rapeseed is then hand-bottled by Robert MacKenzie, one of the fourth generation to produce food at Cullisse. 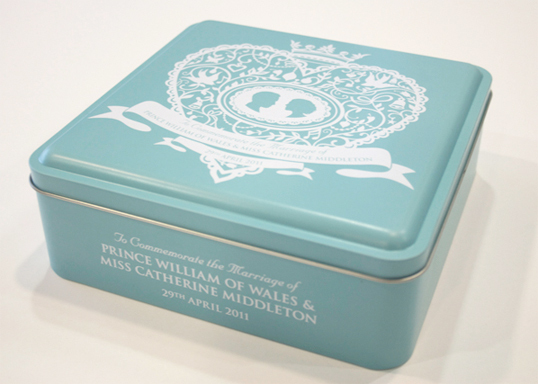 This vintage-inspired commemorative biscuit tin was created to mark April’s wedding of Prince William and Kate Middleton.